We begin feeding and saddling the horses after breakfast. 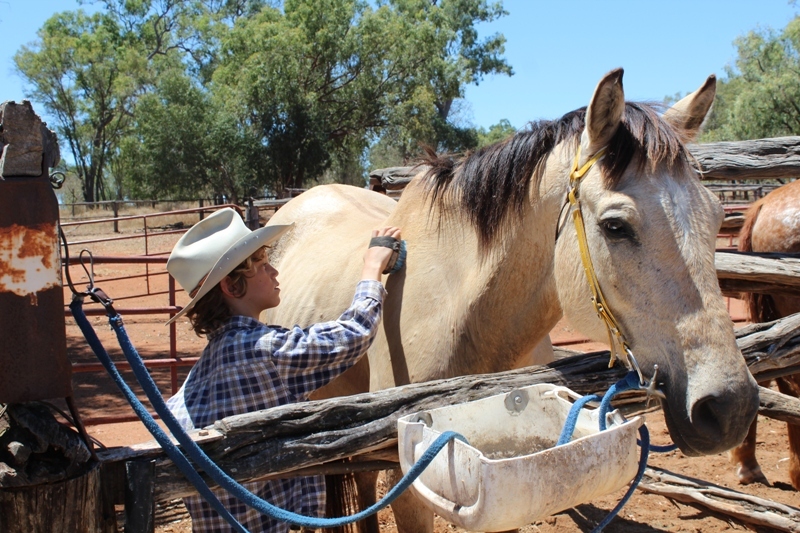 Our guests are welcome to help gather and feed our team of horses their second day and we can also show you how to saddle up your own horse. We provide helmets, and you can borrow some old long clothes. We also have toe-stoppers on stir-ups for safety. 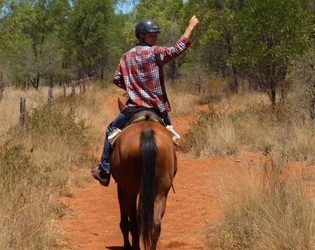 Our training is unique and it really helps you communicate with your horse and enjoy your ride more. 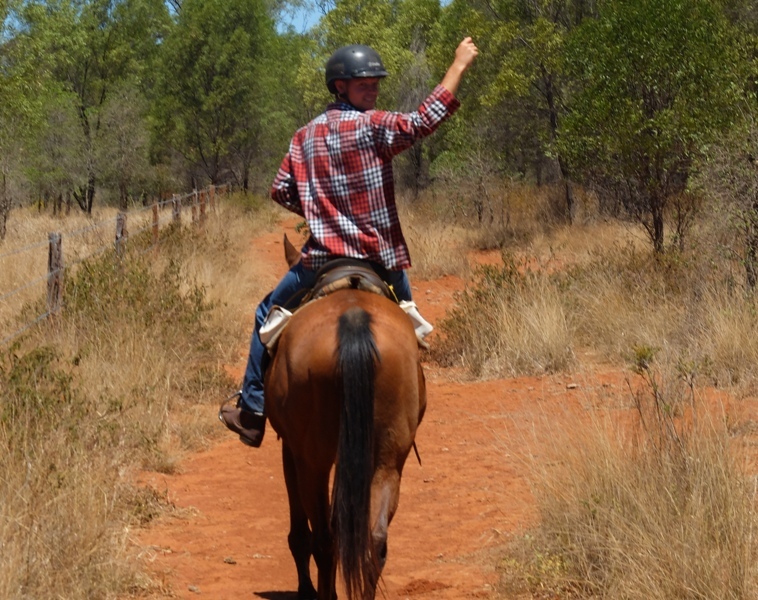 Smile as you ride over the 2600 acre farm and enjoy the bush scenery. Learn about the farm, plants, the animals and of course horses and riding. Rides across Myella farm through the wide open fields; see kangaroos and cattle up close. This is not a head to tail pony trek, however there is also a lot of walking; at random times we move cattle. Over the years we have hosted many types of riders with various levels of experience; the beginners love it and even the highly trained riders seem to enjoy riding our "Myella Style". The styles of horse riding all over the world are different however horses are horses who want freedom to think and move and a save environment. Myella uses Australian Stock Saddles and we ride with our reins in a bridge and in general we don't ride with a lot of contact. The ride finishes approximately 11.45am - 12.15pm. 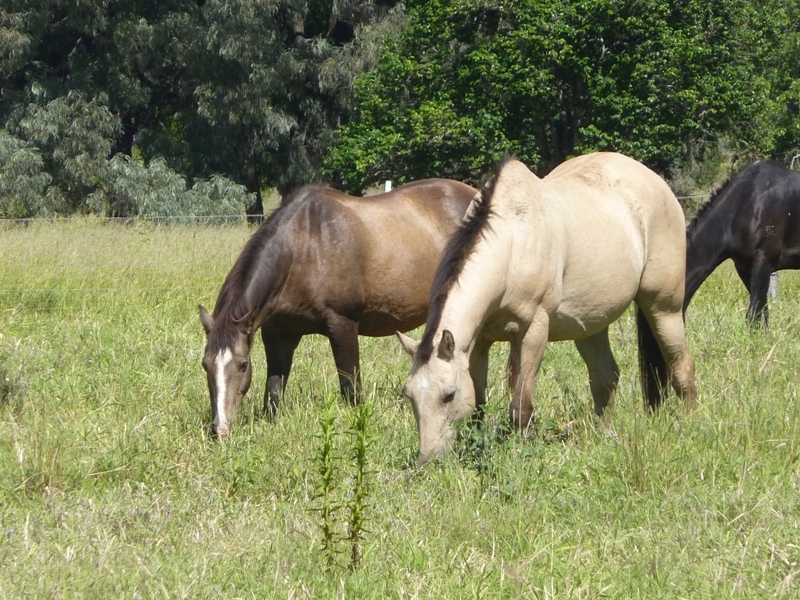 You are invited to groom your horse and set it free into its 50 acre paddock. There is a 100kg weight limit and minimum age is 6 years of age. 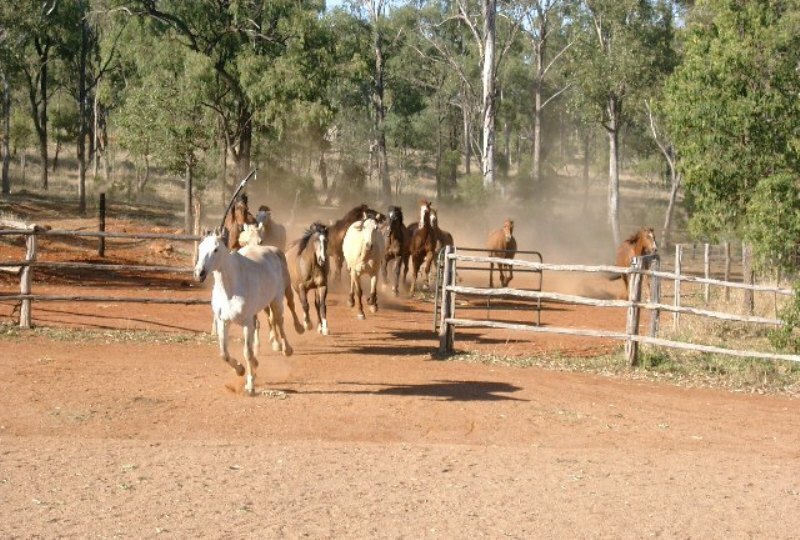 Ride your horse through the wide open country side which features majestic bottle trees, abundant kangaroos and happy cattle. 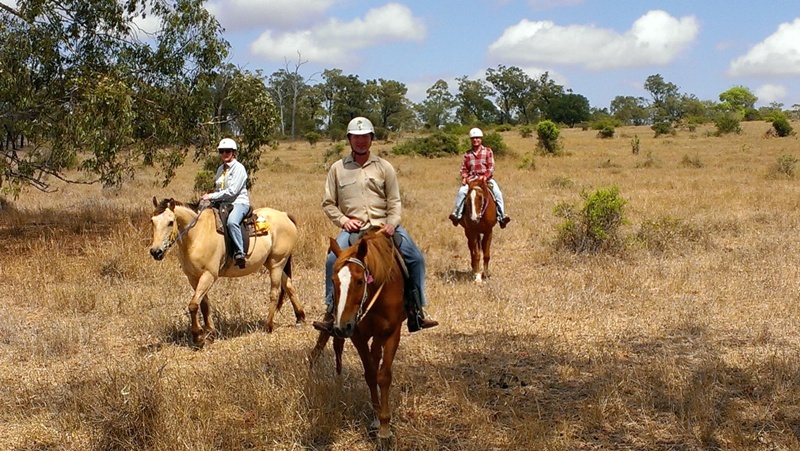 Myella Farm Stay offers complementary riding training so you can confidently across the farm. 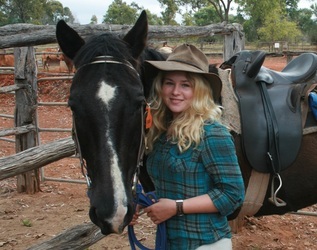 This unique training introduces you to your horse, your guide and our outback riding style. The vastness of the 1040 hectare farm is peaceful, soak in the atmosphere whilst sitting on the back of your horse as it strolls through the landscape. 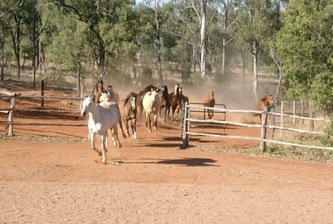 On your return, groom and feed your horse before helping us to release it to roam freely over the farm. Many people enjoy a swim in the pool on return to the homestead.